Salads are the most amazing food. What else allows you to play as freely with texture, color, and flavor? Desserts, I suppose; but desserts are far more contrived, the result much further from the original ingredients. 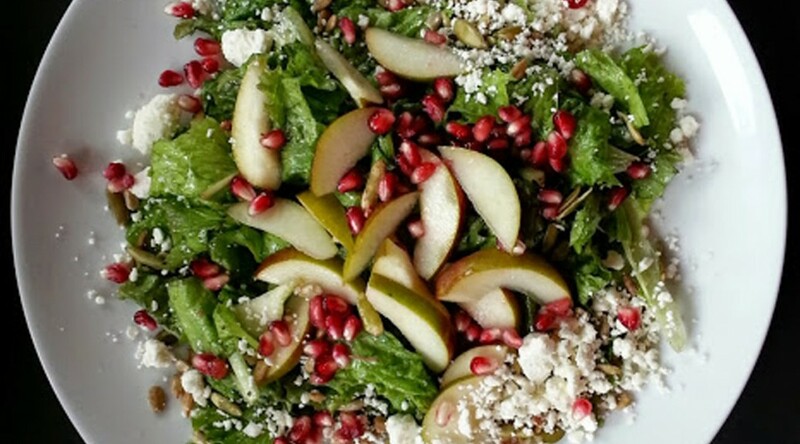 A good salad just draws on the nature of each ingredient to create an amazing whole. 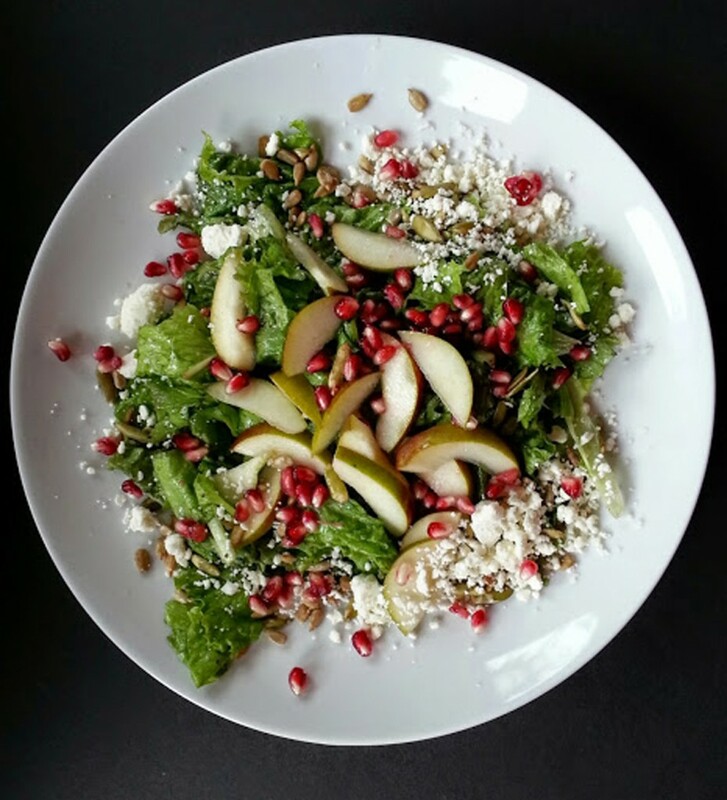 The salad below, which has quickly become our favorite over the last few weeks, is a prime example of how you can combine contrasting elements to create a truly spectacular dish with little effort. Start with sweet, earthy baby beets, and roast them. Slice crisp Seckel pears, skin and all. Toast nutty pumpkin and sunflower seeds. Pop ruby-hued, tart pomegranate seeds out of their sheath. Crumble salty Feta. Line a platter with refreshing leaves of lettuce. Enjoy. Crave the rest of the week, until you make it again. A delicious variation: swap peppery arugula for the lettuce, and toasted hazelnuts for the seeds. Preheat the oven to 350 degrees. Place the beets on a sheet of aluminum foil, sprinkle with the Kosher salt, and wrap to enclose in the foil. Place on a baking sheet. Roast in the preheated for 1 hour, or until tender and easily pierced with a knife. Cool, then unwrap and remove the skins with a sharp knife or by rubbing with paper towels. Cut into thin slices and place in a small bowl. Pour on 1 tablespoon of the Sherry vinegar, and season with 1/8 teaspoon of the salt and 1/8 teaspoon of the pepper. Set aside to steep for 10 minutes or up to 2 hours at room temperature. In a small bowl, toss the sliced pears with the lemon juice. Set aside for 10 minutes (but no longer than 30 minutes, or the pears will become mushy). In a small, dry skillet over medium heat, toast the sunflower and pumpkin seeds until golden, stirring often, about 3 minutes; set aside. 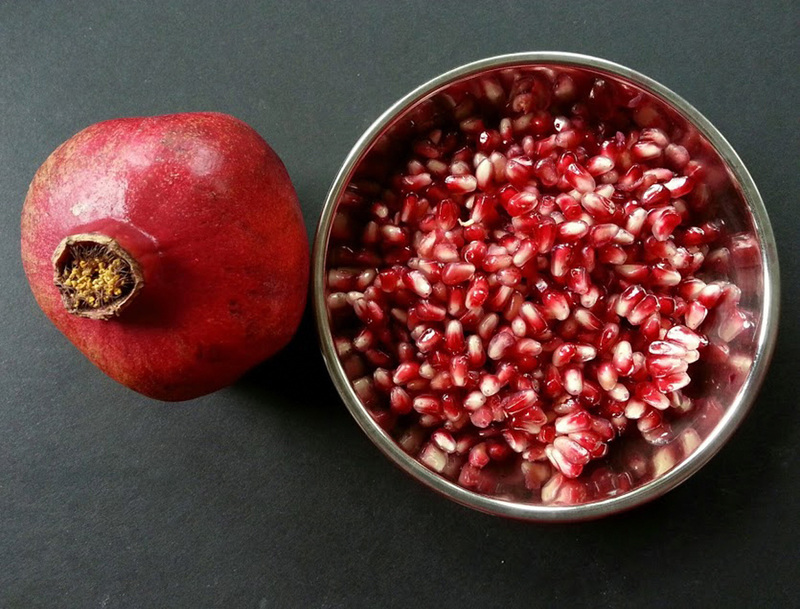 Cut the pomegranate in half along the width (in other words, along the Equator line). Working over a bowl to catch the juices and stray seeds, remove the seeds from the pomegranate. Pick out any bits of papery skin. When you are ready to serve, toss the greens with the remaining tablespoon of Sherry vinegar, the remaining 1/4 teaspoon of the salt, and the remaining 1/8 teaspoon of the pepper. Add the olive oil and toss again. Taste for seasoning and adjust as needed. Divide among 2 plates. Top with the beets and any of their marinade, followed by the pears and any of their juices. 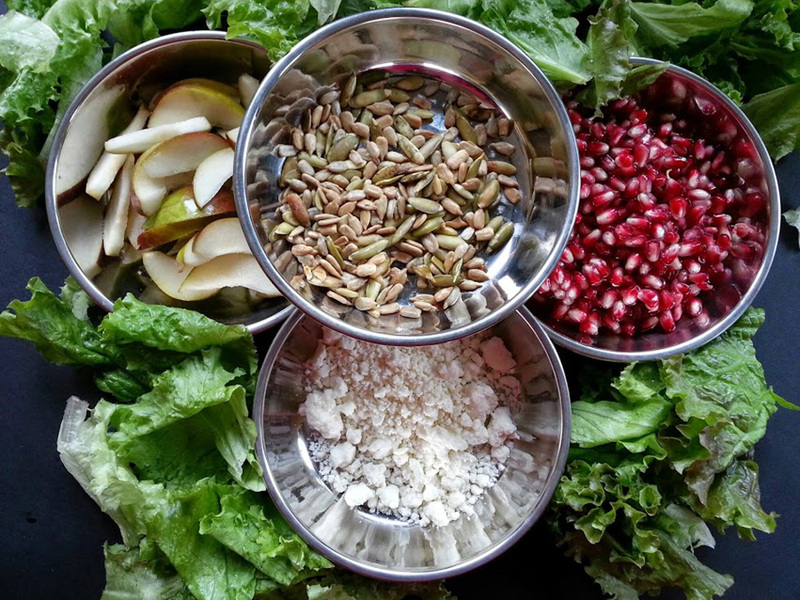 Scatter the sunflower seeds, pumpkin seeds, pomegranate seeds, and Feta over the top. Serve at once, before the greens wilt.